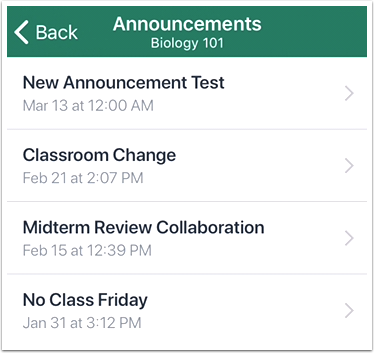 How do I view Announcements in the Student app on my iOS device? 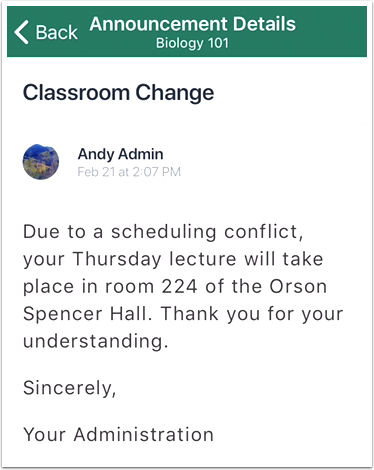 Canvas lets you view Announcements in your Canvas courses. Note: The Course Navigation menu matches the browser version of your Canvas course. 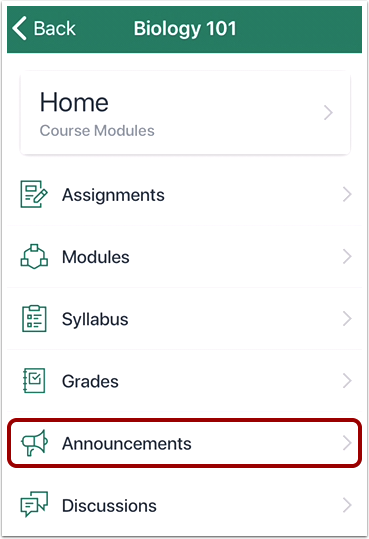 If Announcements is not available in Course Navigation, it will also be hidden from view in the app. Note: You may have to swipe your screen to view the Announcements link. Announcements displays all the announcements in your course. Announcements are ordered with the most recent at the top. To view an announcement, tap the announcement you want to read. 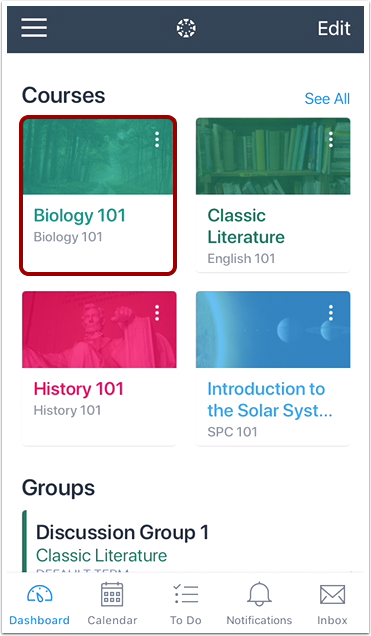 Previous Topic:How do I view Courses and Groups in the Student app on my iOS device? 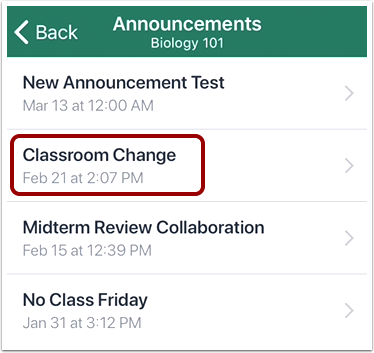 Next Topic:How do I reply to an announcement in the Student app on my iOS device? Table of Contents > Course Features > How do I view Announcements in the Student app on my iOS device?